My name is Chris Kent and for over thirty five years I’ve been intimately involved with Jeet Kune Do, the martial art and self-discovery process developed by the legendary Bruce Lee. 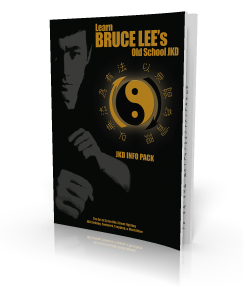 I am the author of two books on Jeet Kune Do published by Empire Books. I am also the co-author of two Jeet Kune Do books published by Action Pursuit Group (formerly CFW Enterprises). In addition to my books, I have written and produced three series of training videos and DVD’s. When I first began training in Jeet Kune Do, like most other people I was primarily interested in the physical aspects of the art. However, as my knowledge and understanding of the art grew, I soon came to the realization that what separated Lee from every other martial artist of his generation was his mind or “intelligence.” It was “the mind behind the fighting machine” that allowed Lee to transform himself and achieve the incredible level of skill he attained. mission, as one of the pre-eminent torchbearers of Lee’s martial legacy, to continue building upon the philosophical ‘framework’ originally established by Bruce, and sharing the concepts and principles with as many people as possible. The following four principles are essential in helping you cultivate the proper approach to training, keep your mind, attitude and sense pliable and receptive, and develop your ability to think critically. By utilizing them in your training you will be able to free yourself from any form of restriction or confinement, be it physical or mental, and actualize your full potential. 1. Recognize YOU Are It. On the wall of my school I hangs a small set of curtains above which is a small placard containing the words, “The Secret of Martial Arts”. When someone pulls back the curtains, they find themselves looking into a mirror which reflects their own image and which has the words “You Are It” written across the bottom of it. In both of the above cases the individuals involved have missed the boat. They are busy looking to external sources for the answers or the truth and, as a result, fail to understand is that there isn’t any “ultimate” out there, and the only “secret” to attaining proficiency in martial arts is an individual’s willingness to work hard at developing themselves and cultivating their innate ability to the highest level. Martial art training isn’t about “styles” or “systems.” It’s not about magical methods or “secrets.” It’s about you, the individual. It’s about cultivating your body as a ‘martial instrument’ and using it to communicate and express yourself with complete freedom. It’s about developing your understanding of efficient human movement in combat and about how, in the process of learning to use your body, you can come to understand yourself. was remove the material in order to reveal him, all you have to do is hack away the non-essentials to reveal the true you. So recognize that YOU ARE IT. Become your own sculptor. Put your energy and effort into the sincere and honest development of yourself physically, mentally, and spiritually, and utilize your training as a vehicle through which to obtain self-knowledge. Dedicate yourself to discovering the real you and then honestly expressing yourself with complete freedom. Many people, when they’re considering taking up martial training, will ask the instructor, “How long will it take for me to get a black belt?” In Jeet Kune Do, due to the fact that no type of belt-ranking system exists, the question usually becomes something like, “How long will it take for me to become certified as an instructor?” When the person is asked why they want to get a black belt or become an instructor, most of them respond with, “Because then I’ll know that I’ve made it… I will have arrived.” But made it where? Arrived where? Martial art training is a journey of personal growth and discovery. For any martial artist, training is an on-going, evolutionary process which is fluid, continually changing and adjusting to fit their individual needs. By focusing on the process you will create an atmosphere of fluidity and freedom in which you can move in any direction in your training and explore and examine various aspects of yourself. You will view yourself as a constant “work in progress”, something never completed or finished. This, in turn, liberates you and offers you freedom. Freedom not only from external sources such as the opinions, dictates and standards of other martial artists or martial art styles, but perhaps more importantly, freedom from yourself; from unrealistic expectations of yourself, from overly self-conscious attitudes, self-doubts, etc. Recognizing that you are a participant in an on-going process in which you are continually growing and discovering new things about yourself, you will view each training session as a learning experience, an opportunity for improvement to take yourself to a new level. Finally, putting your focus on process will help keep you fully present and mindful during your training. You will invest whatever you’re doing with your full concentration and your mind won’t be drifting off toward distant, future goal. it’s just going to drift around.” Furthermore, goals can help motivate us to continue training. Motivation is one of the first things to leave, especially when a high degree of effort is required. And any form of martial art training requires commitment, energy, and effort. Focusing on process simply means that you shouldn’t allow the final objective to overshadow the process, so that chasing after an end-product becomes more important to you than what you learn about yourself along the way. When it comes to martial art training, the people with the staying power are those who have developed a passion for the process. While they view each training session as another step along the path of their journey, they take the time to enjoy each step fully instead of directing their attention ahead and outside the present moment. As noted Zen master Alan Watts once stated, “If the goal of dancing were to reach a certain spot on the floor, then obviously the fastest dancer would be the best. The point of dancing is the dance itself.” And the same applies to martial art training. If you put your energy into each step, if you focus on the process, you will ultimately reach your destination. And what’s more, you will have enjoyed the journey. Why is it so necessary for you to not be bound or restricted by “set” ways or methods? Because anytime a way of doing things is prescribed in inviolable terms as something fixed or set in stone, it creates a “locked in” mentality and your capacity to learn or grow as a martial artist is severely compromised. If you refuse to look at any other approach or blindly cling to one particular way of doing things, you will become bound by the limitations of that way. As a result, your actions and responses will become “patternized” and predictable, and you will lose your ability to cope freely to a combative situation with all your resources. If you are bound to a particular style or method of doing things, you will lack the adaptability and pliability required to “fit in” with an opponent, adjust to their strengths and weaknesses, and deal with them effectively. By not attaching yourself to any one style or “way” of doing things, you obliterate boundaries and maintain the freedom to not only draw from any and all forms of martial art methods, but also to both use and dispense with any techniques as the moment requires. Refusing to be bound by systems or methods doesn’t mean that if you find something which works for you that you shouldn’t use it because it’s a “way”, or to simply not to do anything because it will become a “way.” There’s nothing wrong with having favorite techniques, actions, etc. It simply means don’t become bound to only using it at the expense of everything else. Don’t lock yourself into only one way. Don’t make anything “THE way”. Be free to do what you need to do in a combative situation. “Having No Limitation as Limitation” deals with liberating yourself from any form of limitations, be it physical, mental or emotional. Confrontations between the mind and body are an integral part of martial art training. As you travel along your path to mastery of the martial arts you will inevitably, at some point along the way, find yourself coming up against various barriers or obstacles that will attempt to prevent you from continuing. The barrier might be a physical obstacle, such as a lack of flexibility, inadequate strength, or lack of coordination. It might be a mental barrier, such as being overly self-conscious and afraid of looking silly or awkward when working out. Or the barrier might be an emotional one, such as overcoming the fear of getting hit while sparring. Even a single element or aspect of martial art training can become a limitation if you are not careful. I’ve heard many martial artists make comments such as, “Kickboxing is all I need” or “Grappling can handle any situation.” These individuals are so comfortable and confident in their “way” that either they can see no need for or refuse to look at any other approach. The problem lies when these individuals come up against an opponent who is a better kickboxer than they are or who can nullify their grappling skills. If they lack the ability to adapt and are unable to go outside of the realm of their way in order to deal with the opponent, their “way” will become a limitation and they can find themselves in big trouble. Personal growth comes through experiences. As a martial artist you need experiences in order to grow. A martial artist who has never actually experienced full-contact sparring against an alive and non-cooperating opponent is at a definite disadvantage when it comes to knowing what will and will not work in a real combative situation. But you also need to research those experiences if you wish to enlist them in your personal development and aid you in your search for truth. Researching and understanding your own experience can inform and enlighten you. Researching your own experience doesn’t simply mean researching your martial art background or history. An experience can mean anything you’ve just done or been through in your training. For example, perhaps you’ve just finished an intensive sparring session against a particular opponent. Immediately after your workout, or after a shower and a meal, take some time and review what you experienced during the sparring session – Research your experience. Think critically and ask yourself questions such as, “What value did this experience have for me at this time? What purpose did it serve with regard to my personal growth? What did I learn from it? What bearing might it have on any future sparring sessions I might have? “Absorbing what is useful” means that if, as you research your experience, you discover something or a specific way of doing something that works for you, or that you feel is useful to what you’re doing, you absorb it into your structure. Absorbing what is useful is not mere ‘eclecticism’, as many people mistakenly assume. It’s not simply a “collect what you like” approach whereby you randomly select and accumulate various techniques and actions from here and there according to fleeting fancy or personal taste, and toss them loosely together to create some kind of “hybrid” martial art that you think will have the best of everything. To absorb something means to take it in and incorporate or assimilate it. When you absorb, the things you absorb become incorporated into a single usable product, rather than a bunch of separate element sitting side by side like links of a chain that are not connected to each other. In addition, when something is absorbed, it is often modified during the process and as a result, may end up either only faintly resembling what it initially was, or not resembling it at all. For example, if you combine the two metals copper and zinc, you end up with the alloy, brass. With brass we can no longer see either the copper or the zinc, even though we know they are still there. When selecting things to absorb, your selection should done carefully and intelligently. As you become more experienced you’ll be able to recognize and discern whether or not something has applicability to you and what you’re doing, thus avoid wasting time and effort on it if it doesn’t. If, in researching your experience, you find something doesn’t work for you or isn’t useful for you, you should feel free to reject it. However, before you reject or discard it, make sure you know why it doesn’t work and why you’re rejecting it. To be able to do this, self-knowledge and experience must enter the equation. Simply because you might not be able to do or use something successfully at a particular moment doesn’t automatically mean that technique or action is useless or invalid. Some martial artists will reject a particular kick, throw, lock, etc. simply because they cannot do it at that moment. Or they attempt to use a technique they’ve just learned against an opponent during sparring and it fails or they mess it up, so they decide the technique is no good and discard it. In both cases the individuals haven’t spent sufficient time practicing the technique and attempting to understand it. So don’t reject something until you have thoroughly examined it and know why you are rejecting it, because in so doing, you could be throwing away something invaluable simply because you don’t recognize it, or because of your lack of understanding. Finally, recognize that because something didn’t work for you at one time, doesn’t mean that it won’t work another time. By the same token, understand that what may have been useful for you at one time may not be useful now. What you absorb at one stage of your process you may reject at another stage. So it’s imperative to maintain a very flexible attitude. The final step is to “add what is specifically your own.” This doesn’t mean that you should add something simply for the sake of being different from everybody else. Rather, it relates to bringing your own natural attributes, qualities, personal preferences, etc. to whatever it is you’re doing in order to truly express yourself totally and completely.